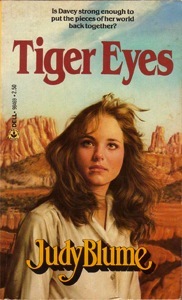 Adored young adult author Judy Blume is currently at work adapting her 1981 book Tiger Eyes for the big screen. Blume has been tweeting about casting, location scouting, and filming of the movie on her Twitter account (@judyblume). She co-wrote the screenplay with her son Lawrence, who is also directing. Gossip Girl‘s Willa Holland and newcomer Tatanka Means will star. So which Judy Blume book would you like to see made into a movie next? Blubber? Are You There God? It’s Me Margaret? Forever?